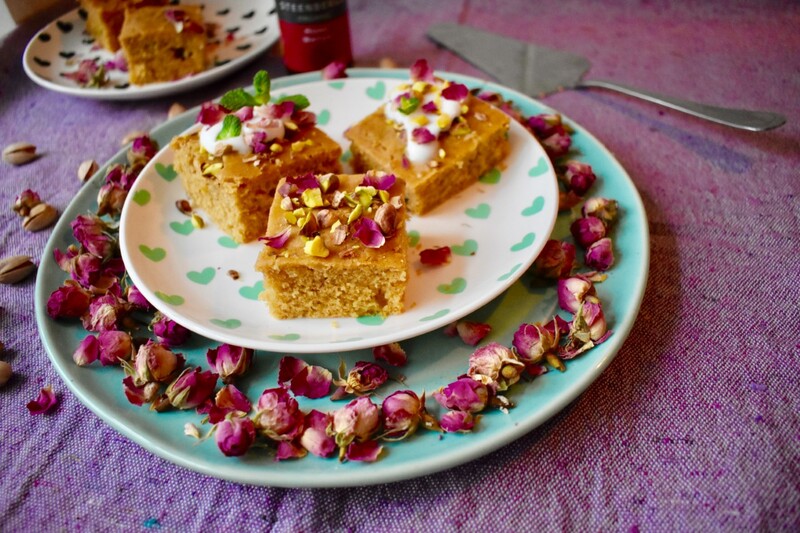 Using a delicate blend of rose water and cardamom, these Persian sweet cakes encapsulate the true essence of love! 1. Preheat your oven to gas mark 4 or 180°c and grease your square brownie baking dish with extra coconut oil and line with greaseproof paper. Whisk your melted coconut oil and coconut sugar with your vanilla extract, set aside. 2. In a larger mixing bowl whisk together your dry ingredients which include the almond flour, baking powder, ground pistachios, ground cardamom and Himalayan pink salt and start to fold in your ingredients with your wooden spoon. Spoon your cake mixture and bake in your oven for a minimum of 20 minutes. Turn out onto a wire rack and allow it to cool slightly. 3. Finally, prick your cake very gently with a fork and pour over the rosewater syrup, allowing it to seep through to your cake. Once completely cooled cut into squares and serve with some strong black tea, delicious!